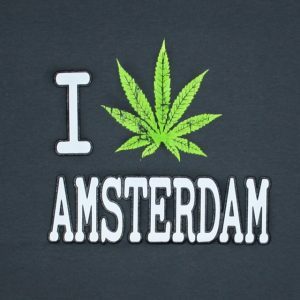 The only place to safely buy marijuana or cannabis in the city is via one of the many Amsterdam coffeeshops. You will find about 200 coffeeshops in Amsterdam, so there is always one close to you. Although coffeeshops are not allowed to advertise, you will be able to identify them easily. Official Dutch coffeeshops have a green and white licence sticker in the window. In order to enter a coffeeshop, you must be 18 or over and have an ID. Coffeeshops are not allowed to sell alcohol. You can join the coffeeshop crawl tour and have an awesome evening. The coffeeshop menu is where you will find their offering. Since coffee shops are not allowed to advertise, you will generally not find any details posted on the door or even inside. Often the menu will be a laminated sheet of paper sitting on the bar, sometimes turned face down. If you don’t see a menu, just ask the person at the counter, and they’ll give you what you need. 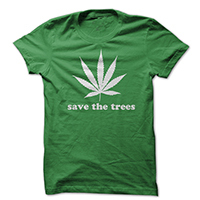 A general rule of thumb is: the more expensive, the stronger the weed. For inexperienced smokers a gram of weed will get you high about 6 times and you should be able to make at least 3 joints nice from a single gram. Ask for advice if you are not sure, these people are here to make sure everything is safe. Another useful tip is that Amsterdam coffeeshops tend to get less expensive the further you go from the city centre. In particular, Red Light District coffee shops tend to be more expensive than those in other parts of the city. The THC levels in Dutch weed are normally higher than what you are used to. 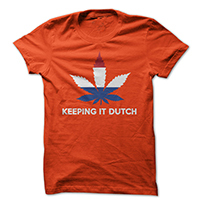 Dutch Nederweed contains about 15-18% THC, while foreign weed only contains about 7.5% THC. The THC level in hash is about 19%. So, ask for advice from the coffee shop about the type, strength and effect of the drugs. If you don’t know how strong it is, take a small puff from the joint and wait for 1-2 minutes to see the effect. Inhaling deeply is not needed for the THC to enter your lungs. The effects will last 2-4 hours. If you eat hash or weed (in a space cake /pot brownies for instance) it might take up to two hours to show any effect, do not take a second piece! The effects last 4-6 hours and the after effects up to 12 hours. Eco drugs (with the exception of mushrooms) are still allowed. Valerian, Fly Amanita, Ginseng, Jimson weed, and Guarana can still be sold in so called smart shops selling alternative health products. Any combination of drugs and alcohol will increase the chance of a headache, but also of a bad trip, panic and anxiety attacks, intense unpredictable trips and are generally a bad idea. Drugs affect your ability to drive and perform sexually. Drinking plenty of water or isotone drinks will keep your fluid balance at the right level, allowing your kidneys to remove all toxins. After a good night out eating protein rich food (meat, fish, bananas, and nuts) will help you recover more quickly). Drinking coffee will remove more liquid from your body, increasing the chance of headaches. Fruit and veggies with lots of vitamins can also help you recover more quickly. The use of any hard drugs such as cocaine, LSD, heroin, morphine or MDMA is strictly forbidden in all Amsterdam coffee shops. Usage will get you thrown out, probably banned and possibly prosecuted. Similarly, magic mushrooms (over 200 varieties of hallucinogenic mushrooms), and qat (khat, mira) are banned in coffeeshops. You are not allowed to grow any weed in your home, but in the unlikely event you are arrested with 5 grams of hash or less or 5 cannabis plants, all you have to do is hand them in and that’s that – you will not be prosecuted. Large scale professional plantations are actively tracked down by police helicopters with infrared cameras. Owners of weed plantations face heavy penalties and can be evicted. Public smoking of tobacco is not allowed anymore in Amsterdam, you are only allowed to smoke cigarettes in designated areas (bars and discos generally have a sealed smoking area, and you are only allowed to smoke near a smoking pole on the train station). Joints without tobacco can be enjoyed in the coffeeshops. Like discos, coffeeshops have a separate smoking area where you can smoke tobacco joints. Amsterdam also has a unique traffic sign: “Blowverbod” A sign prohibiting blowing, so if you see this, no smoking of hash or other drugs is allowed. When visiting a dance party, there is a big chance you’ll be searched for drugs, any amount of drug may be confiscated. Driving under the influence of drugs is not allowed, and is treated the same as drunk driving. In recent years, Amsterdam police have announced that they will also be cracking down on people cycling under the influence of soft drugs such as marijuana.